There are many hive designs, but I’m going to suggest picking one that uses movable frames. Frame secure the comb in place but more importantly are removable and allow you to perform regular hive inspections, swap frames between boxes, split a hive, and use an extractor. In my experience, bees prefer to build honeycomb from scratch; probably because it gives them the freedom to make worker or drone cells whenever and wherever they want. As a bonus, going foundationless is less expensive. I say eventually because going foundationless has its challenges. For starters, bees don’t always appreciate straight lines and can make a mess if you’re not careful. For that reason, I would recommend starting with foundation and, as you become more confident, slowly replacing frames with foundationless-frames. A foundationless-frame sandwiched between two drawn-out frames almost always ends up straight as an arrow. Using deep-boxes for brood and medium-boxes for honey supers is standard practice, but you can save yourself the hassle of buying two sizes of boxes and frames by using one size for everything. I find this especially helpful for splitting colonies or creating nucs. When you’re using the same size for everything, the only difference between a brood box and honey super is what’s inside. Remember when I said 100 beekeepers would have 101 opinions? There are at least that many thoughts on using a queen excluder. What’s my opinion? You don’t need it, and neither do the bees. It might be important if you’re using different sizes of boxes for brood and honey but you’re not – so it isn’t. If you add new boxes above the brood-nest and the queen moves into it than she needed the space. Queen excluders artificially suppress the size of the brood-nest and can lead to unnecessary swarming. Honeybees colonies want to swarm as it’s how they reproduce. Arguably, it’s their ultimate goal. A swarm generally occurs when a hive runs out of space and divides itself in half. As a beekeeper, it’s not great to watch your queen and half your bees fly away. Fortunately, beekeepers can simulate this division by creating splits or creating nucleus (nuc) colonies. I split my strongest hives in the spring or whenever I see signs or swarming (swarm cells) early in the year. I tend to keep smaller colonies as a result, but it’s much more comfortable than chasing after swarms. I also love watching queenless hives make new queens. Most of our queens are bred for honey production and come from places like New Zealand or Hawaii. I’m more fond of local mutts – genetic stock from surviving local bees. A mutt may not produce as much honey, but they tend to have fewer health problems. You can breed mutts by splitting your strongest hives and letting them raise new queens. When the new queen emerges, she’ll mate with up to 20 drones in the local area. It’s also important to remember that a colony is a living thing with a finite lifespan. If your zoning permits it, aim for more hives than you want to keep. If you want one hive, keep two. If you’re going to have ten colonies in the Spring, go into winter with fifteen. The closer you can keep your hives the better. People keep tempting me with land outside of the city where I can keep multiple colonies to my heart’s desire, but I know that the added travel time will mean that I won’t be checking them as often as I’d like. The more accessible your colonies are, the better care you’ll give them. I prefer my backyard where I see them every day. A healthy hive can run out of space, make queen cells, and swarm in less than two weeks. That’s why I inspect my bees every seven to ten days between Spring and Fall. An inspection includes opening the hive, checking that the bees have enough space, and physically removing and inspecting each frame of brood. I’m looking for eggs, larva, capped brood, queen cells, and any signs of stress or diseases. If I don’t see a healthy brood pattern, I start looking for the queen. I budget 30-45 minutes per hive. When you first start, an inspection might take you an hour, but you’ll get more efficient over time. 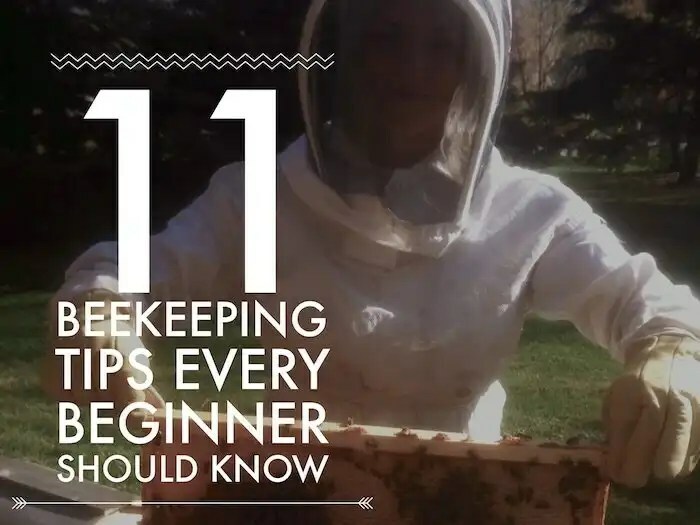 If you’re anything like me, you’ll want to peek inside your new hive ten times a day. Don’t. Needlessly opening the hive lets all the heat out and stresses the bees – especially when they are first trying to get established or when it’s cold outside.